We all remember the crap storm that brewed last November when O.J. 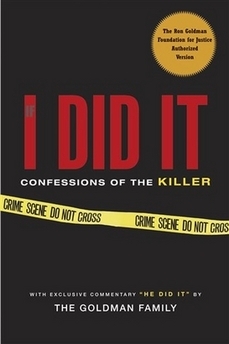 Simpson was set to release his book "If I Did It". HarperCollins pulled the book and over the summer a federal bankruptcy judge awarded rights to the book to Ronald Goldman's family to help satisfy a $38 million wrongful death judgement against Simpson. That means Goldman's family now controls the book and they're having it published by Beaufort Books. Check out the cover and see if you can spot the "If" in "If I Did It". If a fifth of Americans can't locate the U.S. on a world map is there any prayer they'll see this as anything other than a confession by The Juice? What else would they see it as? As such. I'll bet it would be something to do with the Iraq and South Africa but maybe something about US Americans, such as the Iraq. I notice that when I reference Americans now I refer to them as US Americans, just to be specific. Stephanie are you a bot? That sentence lacks in making sense.